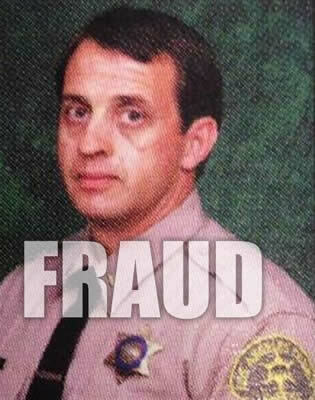 Frauds like Deputy William Carey commonly get hired and infect law enforcement. He felt he was above the law and could lie and get away with it. The solution is there should be no second chances, any officer who lies period in any capacity can not be trusted and should be terminated without pay or benefits. If the law was as harsh as it is on the public when it comes to those we trust to enforce our law they’d not commit the crime. Its as simple as parking in the red or using emergency vehicles to avoid the law. Everyone must be held personally responsible and accountable. Getting a badge and uniform does not mean you can then lose respect for law. Los Angeles County Sheriff’s Deputy William Carey struck a deal with federal prosecutors in a case that’s already led to the convictions of seven deputy sheriffs. As part of the deal, Deputy William Carey will plead guilty to one felony count of making false statements. In return for his cooperation and testimony, the remaining charges — obstruction of justice and another count of making false statements — will be dismissed. What a coward and they don’t throw the book at this useless POS lying piece of trash. He makes all law enforcement look bad. It’s time all law enforcement respect their jobs and throw the bad cops to the wolves and expose them.